Property in Costa Blanca South, from Alicante City down through Torrevieja and the Orihuela Costa, is hugely popular with international buyers looking for a holiday home or retirement property – and once you’ve visited the area, you’ll understand why! As well as an excellent climate – boasting around 320 days of sunshine per year – the southern half of the Costa Blanca also offers a large selection of beautiful Blue Flag beaches, superb sports opportunities, lots of festivals and lively nightlife. It’s highly accessible, with plentiful flights to Alicante and Murcia airports, and property here is excellent value, with two-bed apartments available from €70,000, and townhouses and villas from just over €100,000. No wonder so many people are choosing property in Costa Blanca south for their Spanish holiday home. The Costa Blanca (White Coast) can be divided into two parts, the Costa Blanca north and the Costa Blanca south. 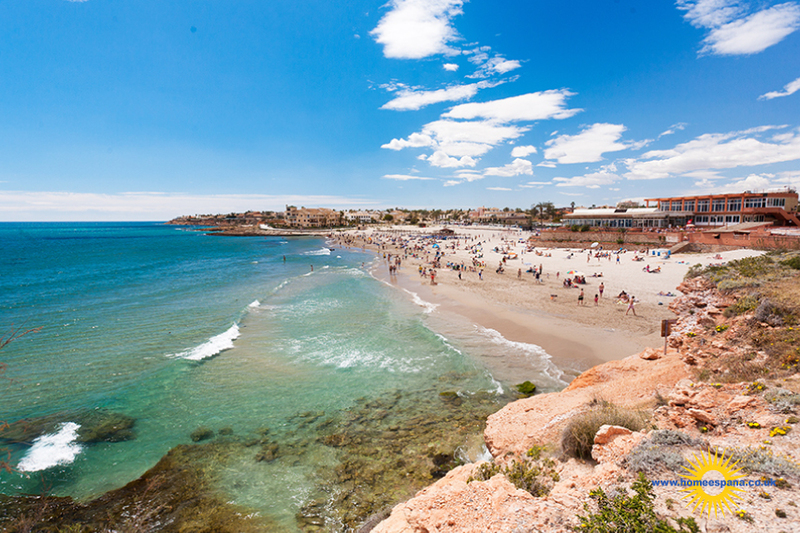 Costa Blanca North includes Denia, Javea and the Orba and Jalon Valley areas, while the Costa Blanca South includes popular coastal towns like Torrevieja, Ciudad Quesada, and the well-known urbanisations of the Orihuela Costa, such as Villamartin, Los Dolses and the beachside areas of La Zenia, Cabo Roig, Punta Prima and Playa Flamenca. On our website, you can find hundreds of properties in the all Costa Blanca regions, from secluded rural houses to town apartments. Our property lists are frequently updated and our professional staff can help you understand the local market and make an informed decision when buying any type of south Costa Blanca property. Very impressive 3 bedroom detached villa with attractive gardens and inviting private pool.